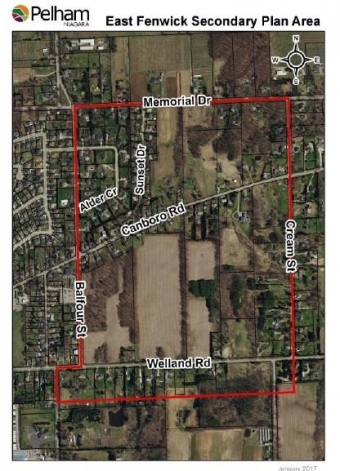 Fenwick Secondary Plan area is bigger than originally thought. planning exercise, Staff hadn’t been able to get it started until now. 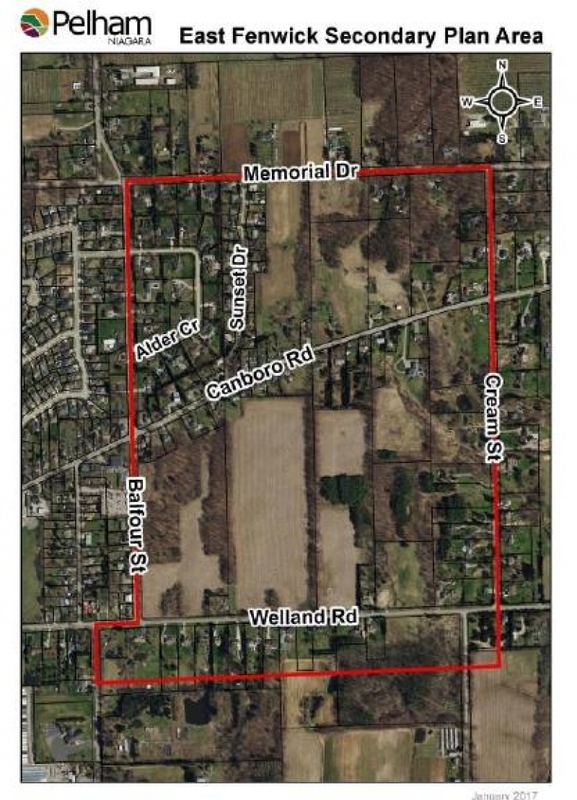 235 acres (95 hectares) from Cream to Balfour and between Memorial and Welland Roads. plan needed to include studies to achieve that. pedestrians; and providing a phasing plan. large area might develop and integrate more fully into the Town. develops the East Fenwick Secondary Plan.